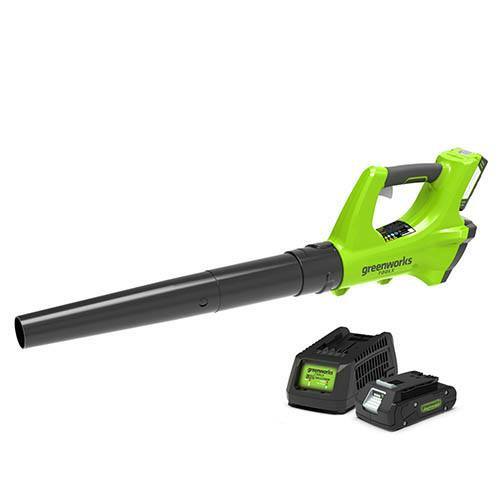 Free your garden from leaves and dirt with Greenworks battery powered Axial Blower. Because of its low weight and axial fan, this blower can handle soggy leaves with ease. Practical and ergonomic, the user gets access to all switches with one hand allowing you to use this product whether you are left or right handed. This product is delivered directly from the supplier. An email address and telphone number must be left at the point of ordering so that delivery can be arranged.